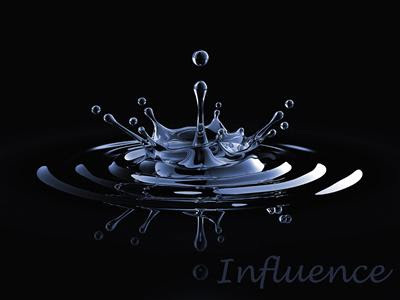 Sunday 3rd May sees the start of a brand new Sunday teaching series - Influence. I have started to work on some of the items to help communicate the series. Above is a simple graphic to show how even a small drop can create a wide influence. God wants to use each and every one of us to have a huge influence in our own world. The Christian life was never meant to be a secret society. From the very beginning Jesus said that His kingdom was like a light shining in the darkness. As Christians and as part of Jesus church we are called to be people of influence. It is so easy to be influenced by the prevailing culture of the day but we are called to influence the world. We need to evaluate how we are doing and ask ourselves the question: Is there anything we need to change for our influence to grow?